It was standing room only at the secondary schools kapa haka regionals in Whangārei over the weekend. Check out the order of kura for Tōkihi Ki Tua - Te Tai Tokerau Secondary School Kapa Haka Competition. #FFSVote will be at the Kapa Haka Regionals this Saturday so rangatahi can register to vote. 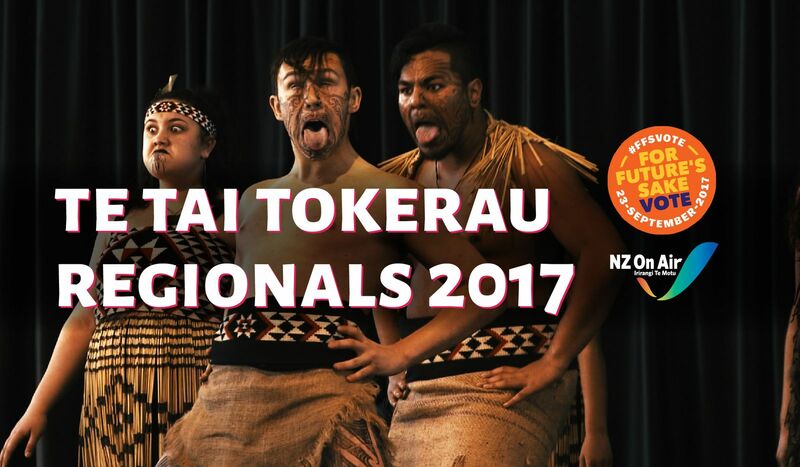 Live stream of the Secondary Schools Regional Kapa Haka Competition. It was standing room only at the secondary schools kapa haka regionals in Whangārei over the weekend as huge crowds flocked to watch top young talent from around Northland battle it out for a position at the nationals. Thirteen schools from Te Tai Tokerau took to the stage and it was an overall win for local Māori medium schools as they led the way to take out the top three spots. Whangarei’s Te Kāpehu Whetū and Te Rāwhitiroa placed third and second with Kaitaia’s Te Rangi Aniwaniwa securing first place. Crowds waited outside for hours for a chance to get into the venue to see the groups perform with MC’s Luke Bird, Miss Kihi and Raniera Harrison entertaining the audience throughout the day. The school hall was consistently at full capacity and the popular charter school Te Kāpehu Whetū attracted huge crowds with around 100 people unable to get in to watch them perform. Their bracket was lead by the empowering voice of Waimahana Henare as kaitātaki wāhine in her last year performing for the roopū. Tikipunga based kura Te Rāwhitiroa, tutored by Matua Fred and Whaea Loreen Henare came through with a fierce haka and a win in the sections for whakaeke, waiata-a-ringa, whakawātea and first equal with Te Kāpehu Whetū for kaitātaki Tāne (male leader). But it was Te Rangi Aniwaniwa who stole the show on the day impressing the judges and taking out kaitātaki wahine (female leader) , mōteatea, poi, haka and overall winner. The award was presented to them by Whaea Wikitoria Mākiha, wife of the late Te Kai Mākiha and had special significance because of his heavy influence and involvement with the kura. Taonga for the event were donated by schools throughout the region. Judge for the competition Daniel McGrath said one element judges were looking for this year was annunciation and pronunciation. “The standard had lifted from previous years. All competing groups had obviously trained extremely hard and represented their schools well and no doubt made their whānau proud,” McGrath said. All three teams will now go through to the nationals at Manawatū in 2018.